Sorry for the lack of posts lately. I totally missed my latest loves post, my book club will be late...life has just been crazy. I am going to try to catch up over the next week or so to get back on schedule. 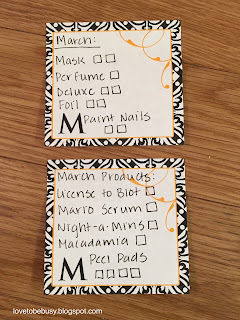 This post is to update how I did with my Project Use It Up in February and what I will be focusing on for March. 1. 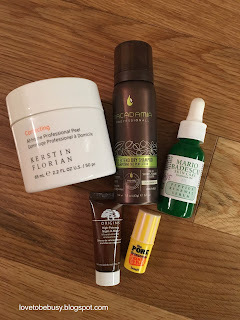 Mask - I used a mask two times this month. I have been using the Laneige water sleeping mask that is in my Finish 5 by Cinco de Mayo. 2. Perfume sample - I finished one perfume sample. 3. Deluxe sized products - I finished 2 deluxe samples (actually more than 2) and I will include those in my empties coming up. 5. Paint Nails - I only painted my nails once. The dry, cold winters here are causing very dry skin and nails and my nails have been peeling like crazy so polish won't even last a day before it flakes off as my nails peel. Euphoria deluxe sized roller ball perfume - yeah!!!! This lasted much longer than I anticipated and was starting to lose its scent so I'm glad I finished it up. 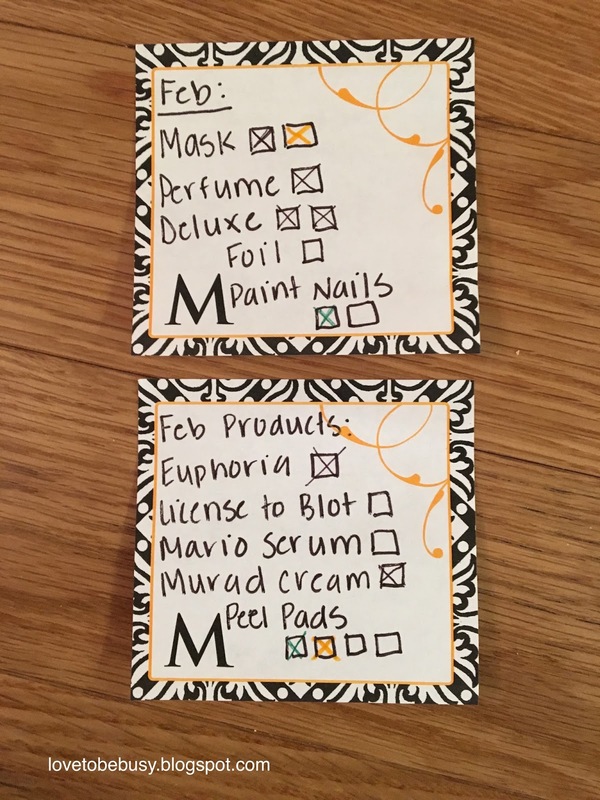 Mario Serum - rolling over to March - this serum is taking forever to finish! I've used it almost exclusively for a year! Peel Pads - I only used 2 pads this month. My March goals are staying pretty consistent with February. 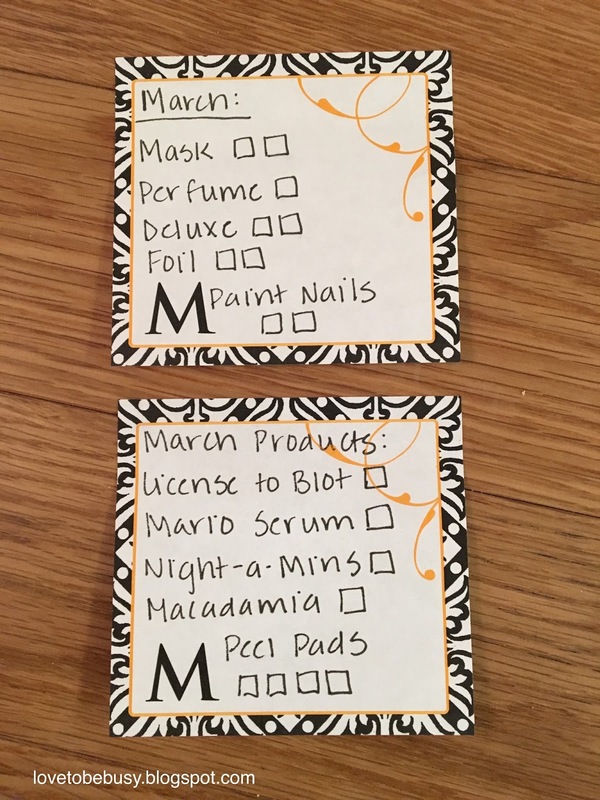 I added an additional foil packet to March since I didn't use any in February. I hope that my nails will improve this month as the weather gets warmer. It will also start getting warmer for painting my toe nails as well (I don't bother when I'm living in boots all winter). Origins Night-a-Mins - I'm using this as a night cream after finishing the Murad cream. Macadamia dry shampoo - I don't use dry shampoo too often because I work out almost every day and sweat! So I wash my hair every time I work out. I have just a little bit left in this dry shampoo though and I know I will have a reason to use it, I just need to make sure I pull it out. Peel Pads - I will try to use one each week and then use a hydrating mask after. These are the products that I am focusing on this month. 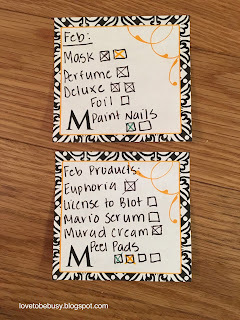 The peel pads will not be finished but I do want to ensure I use one each week. Be sure to comment below if you are doing Project Use It Up either on a blog, Youtube, or Instagram. These are some of my favorite videos and posts to see! Good job this month! I have been using the Origins Nit-a-mins as well, I quite like it!